After a conservative backlash, UT Austin says it's tweaked its MasculinUT program, but it still hasn't yet rolled it out. In April, conservative site PJ Media posted criticism of the program's poster campaign that suggested UT treated masculinity as a “mental health crisis.” That criticism went viral and other conservative media outlets followed suit, prompting the university to put the program on hold. Since then, UT has made changes “to assure that the program’s mission remains clearly defined.” One major change shuffles the oversight of the program from the university’s Counseling and Mental Health Center to the Office of the Dean of Students. UT senior Austin Smith (pictured right) said he received death threats online after appearing in promotional posters for MasculinUT. "The university and MasculinUT has been very clear from the beginning that we never treated masculinity as a mental health issue," says Chris Brownson, associate vice president of student affairs. "But to the extent that others might be confused that they could interpret it that way, our goal is to remove any of those barriers or misconceptions that might exist." The committee tasked with giving recommendations to the university also suggested a full audit of the program’s web content, calling for "simple language" and "non-stigmatizing terms." They also plan to hire a full-time employee to lead the program. 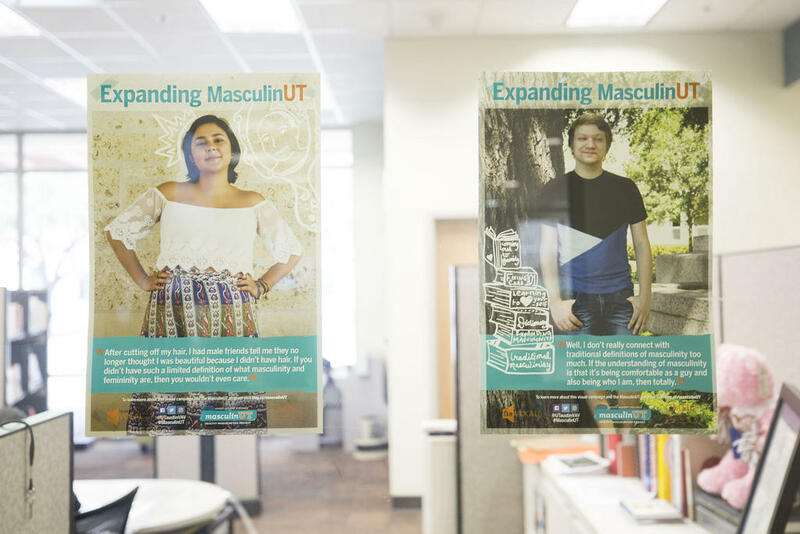 UT Austin senior Austin Smith was a part of the MasculinUT poster campaign that sparked the whole controversy earlier this year. He says he thinks moving the program to the Office of Dean gives ground to conservative critics, but that he's happy the program is moving forward. "It’s a concession, in my opinion, to some of the voices that were concerned and riled up last semester," Smith says. "But I don’t think it’s one that will significantly change the program. I think at the end of the day it was a win for the program."